Inspired by a sundial, the Genius Temporis is the work of Konstantin Chaykin, the only Russian member of the AHCI, the respected academy of independent watchmakers. The maker of mechanically ingenious yet quirky timepieces – his last timepiece featured a miniature motion picture projector – Konstantin Chaykin has taken the concept of a single-handed watch and given it an ingenious twist. The hand in the centre points to the hours, as all single-handed watches do. But press the button at two o’clock and the hand jumps to point to the minute. When the button is released the hand returns to the correct hour. Featuring a laser engraved centre and an enamel chapter ring, the Genius Temporis is styled like an eighteenth century pocket watch. 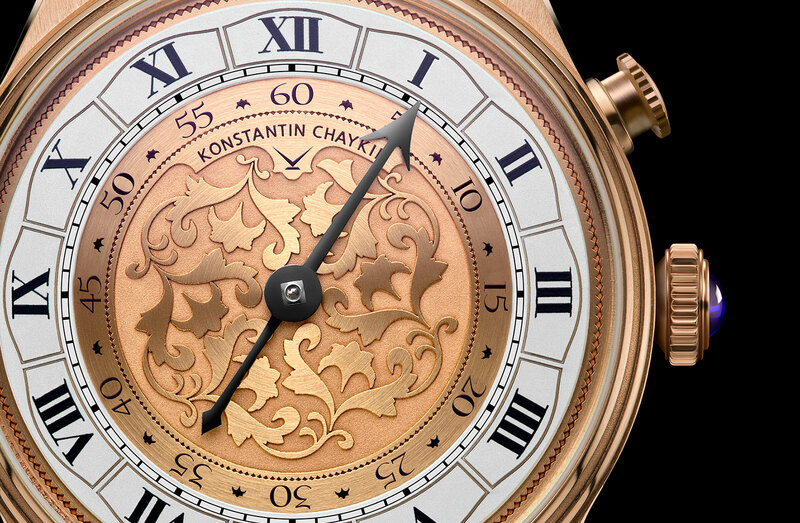 The K01-5 movement is developed and made by Konstantin Chaykin, and is manually wound with a 48 hour power reserve. The rose case is 44 mm in diameter. 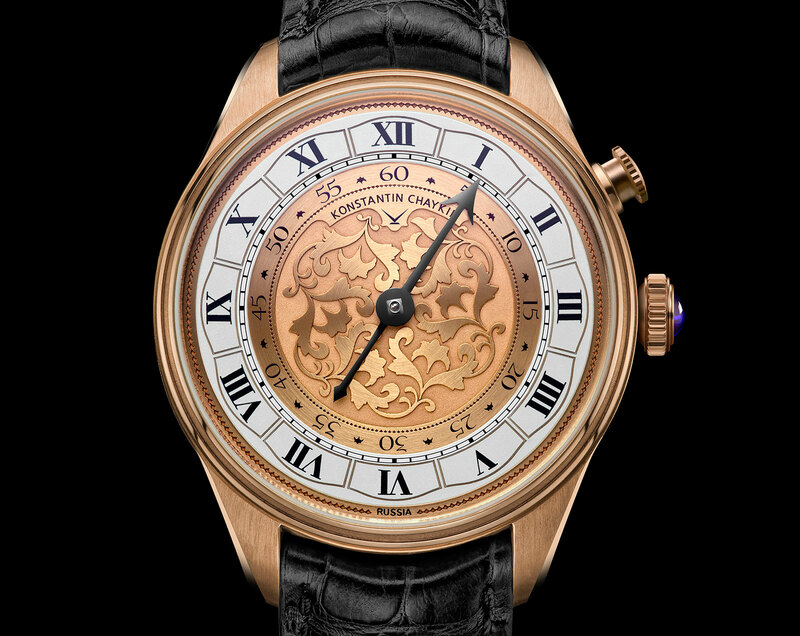 The Genius Temporis is priced at €25,000 before taxes, equivalent to US$31,400.